The environmental professionals at Clark Seif Clark (CSC) provide testing services to help prevent outbreaks of Legionella and identify sources of the bacteria. Legionella is found naturally in the environment and if water systems aren’t properly maintained, dangerous concentrations of the bacteria can proliferate. Proactive water testing can help identify if the bacteria is present to prevent these types of outbreaks. The outbreak of Legionnaires’ disease in New York continues to grow. So far, 10 people have died from the condition and over 100 have reportedly been infected. New York health officials have called in the Centers for Disease Control and Prevention (CDC) to assist with their investigation of the outbreak. Five cooling towers have already tested positive for the bacteria that cause the disease, but officials are unsure if any of them were directly responsible for the outbreak. The New York City Health Commissioner has ordered that all building owners with cooling towers at their facilities have the units inspected. Media reports indicate that there are likely at least 2,500 cooling towers in the city. 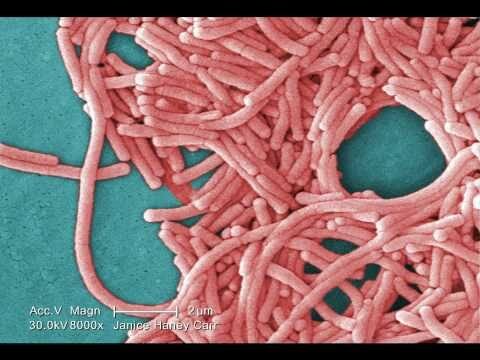 Legionnaires’ disease is caused by Legionella pneumophila bacteria. The transmission of Legionella occurs via aerosols, when mists containing the viable bacteria are inhaled. The CDC reports that each year in the U.S., between 8,000 and 18,000 people are hospitalized with Legionnaires’ disease; however, many infections are not diagnosed or reported, so this number may be higher. The environmental professional at Clark Seif Clark offer Legionella testing and consulting services across the United States. Their experts are available to respond at a moment’s notice to collect samples for this potentially deadly bacteria. To learn how Clark Seif Clark can test for Legionella or assist with other indoor air quality (IAQ), industrial hygiene, environmental, health and safety projects, please visit www.csceng.com, email csc@csceng.com or call (800) 807-1118.